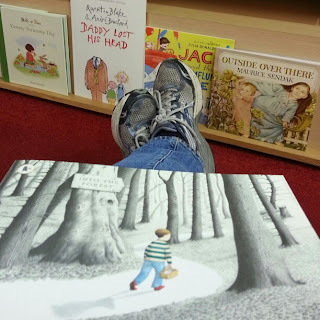 It was my birthday today and I decided to take a break from daily life for a real treat - I went to a bookshop and whiled away a morning reading picture books. 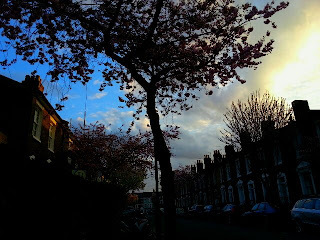 It was a beautiful Spring day - the cherry blossoms have finally blossomed on our street after the long hard winter. And when I checked my Facebook page, I had a warm, tingly deluge of birthday greetings from my friends. Awww! Sweet story about your childhood and great video! Glad you had a happy birthday, indeed! Thanks Jan. I was at a loss on what to do with my birthday. Then I remembered what I used to do with my mum. This is just a beautiful post. What a perfect day you had and so well deserved. Lovely. What a wonderful way to spend the day. Everyone should spend their birthday in a bookshop! A lovely video Candy, you really know how to celebrate - and how to instill enthusiasm for books in your readers!! When it's heartfelt it shows! Hope you had a great birthday. Thanks so much for mentioning Blow A Kiss and Kate! Great catching up with you at AFCC. Come back!! Can't wait for my copy of Shine!